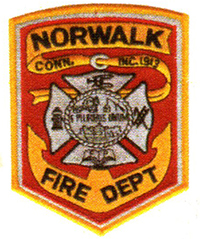 NORWALK, CT- The Norwalk Fire Department is partnering with Human Services Council’s (HSC) – Children Connection’s annual toy drive, the Children’s Bank. This year, the Fire stations will accept donations of new toys and gifts that will be given to almost 3,000 children living throughout lower Fairfield County. This year’s toy drive will begin on Friday, November 24 and run through December 21. These children have been abused, neglected and/or are at-risk, many of whom live in foster care or group homes and are struggling with frightening and unclear futures. For some of these children, this is the only gift they will receive. To learn more about all the programs offered by the Human Services Council and how you can help with this year’s toy drive visit http://hscct.org/ or call (203) 849-1111. This press release was posted as a public service. A press release is a written announcement submitted to news organizations to publicize an event or activity, a milestone or a point of view. NancyOnNorwalk has not researched the assertions made and takes no responsibility for the content.